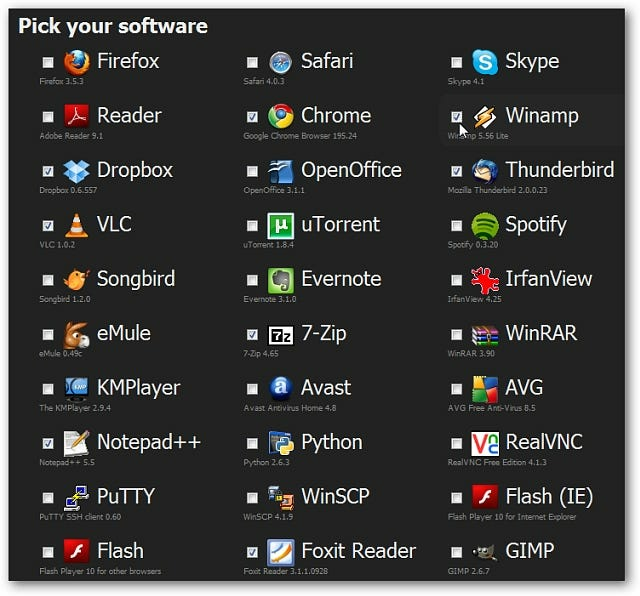 One of the things we hate most is all the free software applications scamming less knowledgeable users by trying to sneak extra toolbars or other software onto their computer. Sadly, the practice is getting even more common, and we’re going to rant about it. 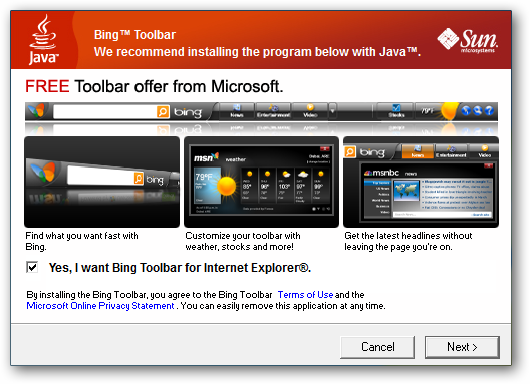 Sure, you say, you can just uncheck the box when you are installing it. You’re a geek, and you know stuff! …but what about all the doctors, teachers, and moms that don’t know any better? They don’t want to be geeks, they have other things that matter to them more than sitting in front of a computer all day and night. It’s Shocking, I know, but they have a life. They shouldn’t be punished by companies earning their living by scamming them into installing some worthless piece of crap software that they don’t need or want. They shouldn’t have a PC loaded down with crapware just because you like free stuff so much that you’ll keep supporting these products by installing them. When is enough finally going to be enough? If you really love free software so much, why don’t you switch to truly free (open source) software, and maybe start using Linux? After all, everybody knows as soon as you install Linux you’ll be all-knowing and gain special comment-leaving powers. Having extra software riders is common place in apps like RealPlayer or iTunes and other “Lameware” apps, but now it’s getting worse. 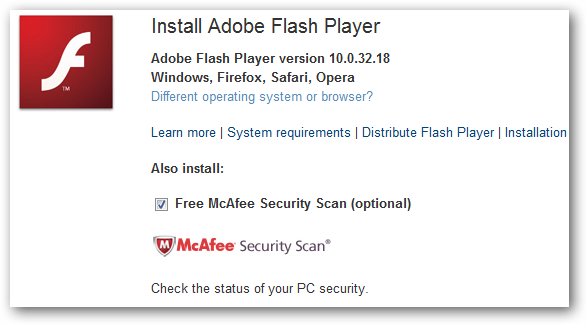 When getting the latest version of Flash Player on a Windows 7 install, we see they’re trying to add extra software like the Google Toolbar, or worse, a Mcafee scan. 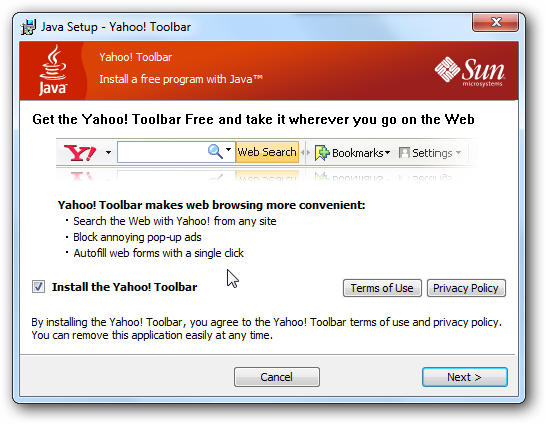 And sometimes it offers to install the awful Yahoo toolbar as well. A bunch of quality freeware apps seem to be using this practice nowadays as well…like CCleaner… which makes us sad. We love CCleaner. 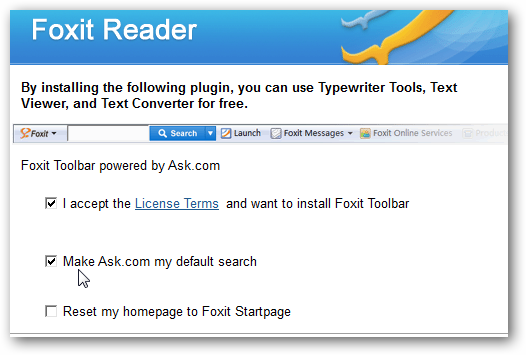 Or Foxit Reader who want to install their own toolbar and make Ask.com your default search. On a side note, have you noticed how bloated Foxit seems to be getting in recent versions? The extra apps they try to sneak on your system aren’t malware like Digsby was trying to do when they joined the dark side, but it’s irritating and annoying that a user is automatically opted in. One service that makes it easy to install your favorite apps without the extra baggage is Ninite which we have previously covered. 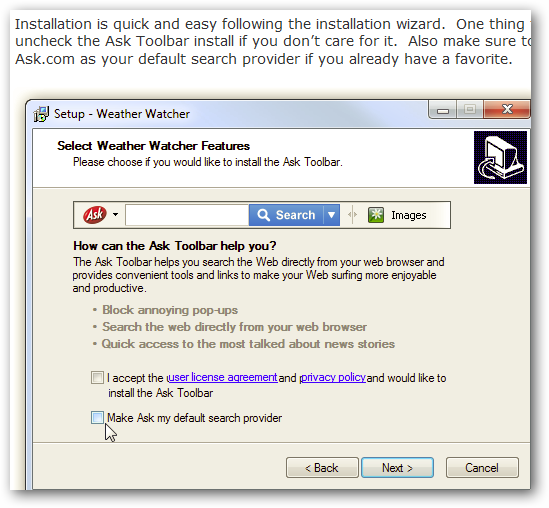 Not only do they make it a huge time saver to install multiple apps at once, they say NO to all the extra crapware they might try to include. We spoke with Patrick Swieskowski, one of the founders of Ninite, and he told us about how they ensure their service installs apps free of crapware. These tricky toolbars and addons were a big reason we started Ninite. You always have to be on your toes when running installers these days. When we set up the automation for each installer we pay careful attention to these offers and decline them. We also check our test systems for new toolbars or other bundled apps after the automation, and if anything got through we throw out that configuration and try again. We’re really serious about making Ninite a place to get software where people don’t have to worry about these sort of addons or spyware. For example, if I found that our Digsby install had the research mode enabled by default, we would have immediately removed it from the site until we could resolve the problem. Any feedback we receive about malicious or shady app behavior becomes our top priority. When you read about free apps and utilities that we write about here, we will always let you know if the app tries to sneak something else in. It’s our official policy. Note: if we’ve written about something in the past and the developer has since added a crappy toolbar, be sure to let us know so we can update the article and point it out. 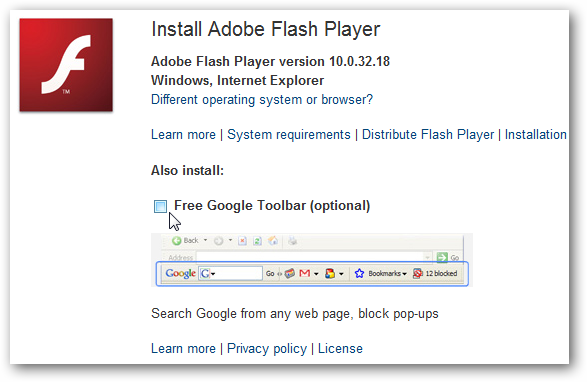 Yes, it’s only a matter of un-checking a box, but it seems that allowing a user to opt-into installing the extra junk would be more acceptable.